This 1950’s solid 14k. solid gold ladies OMEGA is an interesting cocktail watch. The time is set by SLIDING the crown on the rear of the watch. Winding is done as normal, also on the case rear. I do like the engine turned detail on the case rear. The dial is original, as is the faceted crystal. The manual winding OMEGA movement was just cleaned and is accurate. 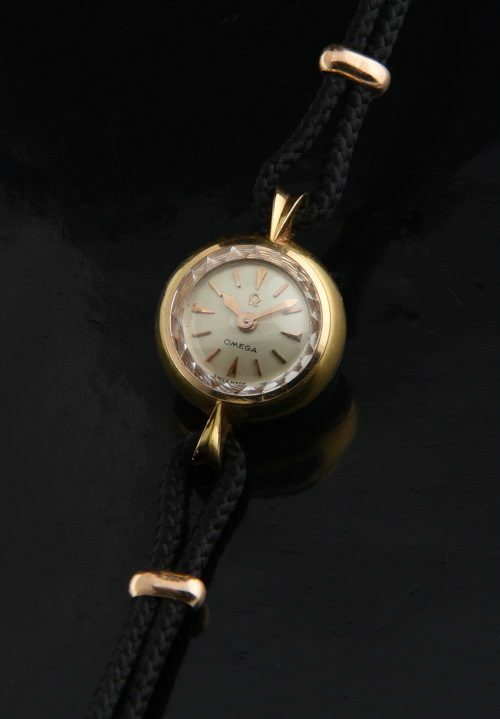 This is a dainty watch, with the solid gold head measuring 14.5mm.